A very special thank you to Markeydas Grooming. Sam and her wonderful team in Langley, BC have donated countless grooms to our rescue animals in need. Markeydas offers one hour grooming and accommodates dogs with health and behavioral issues. Bosley's Pet Food Stores have been generously filling the bellies of our rescue dogs and cats for years. Visit a Bosley's near you for friendly service and knowledgeable staff. A special thank you to Delta and Richmond locations for their extra help and involvement with CTARE. CTARE is very lucky to have several vets that have gone above and beyond to help us over the years. Cottonwood Veterinary Clinic is our local vet in Chilliwack, BC. Dr. Tim Maarhuis and his team get to know all our rescue animals and work tirelessly to make sure they are all happy and healthy. We can always count on prompt, thorough, and kind care when we need to take our animals for a check up or surgery. Thank you Cottonwood! Carried Through could not have become the rescue we are today without the help of Burnaby New Westminster Animal Hospital. This wonderful clinic has been with us since our first year rescuing animals in need, and has always been there for every animal we brought through their doors. Dr. Moaveni and the staff go above and beyond to help - this clinic has donated countless hours and at or below cost procedures to our rescue - their generosity is incredible. We have also been very lucky to work with Dr. Shamshir and the wonderful staff at High Point Animal Hospital in Surrey, BC. They have aided us in many everyday vetting needs, as well as after hours and emergency calls. This clinic will always go out of their way to accommodate our animals when we need help. 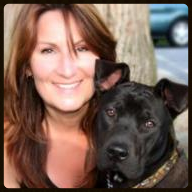 Cat Repetowski, founder of Everyday Dogz, has a special place in CTARE's heart. CTARE's founder got to know Cat when participating in her mom and dog workout classes called "6 Legs to Fitness". Throughout our partnership, Cat has adopted a dog from CTARE (Mocha, pictured above), donated rescue dog ID tags, and offered training to any rescue dog in need. Whether you have a new puppy, a "feisty fido", or an amazing agility sport dog, Canine Spirit is the place for you and your dog to rise to your full potential! Pam has always found time to help our rescue dogs. CTARE has attended several classes (both with rescue dogs and personal dogs) and always learned something new. 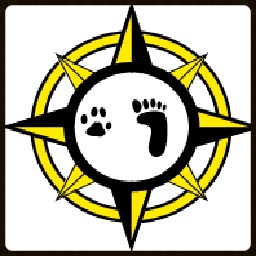 Check out Canine Spirit - "Training for People with Dogs!" We cannot recommend Karl and the staff at Runfree Canine Center enough for the kind and knowledgeable care they give to our beloved companions and rescue dogs! We are confident recommending them for dogs with behavioral issues, as well as any other boarding needs. They also have some of the most competitive pricing around, and we say, the best value! We trust Runfree with all of our dogs! This is the EASIEST way to ever order your dog tags! Place an order today, and tell them CTARE sent you - we will get TEN free dog tags for the rescue dogs! Thank you to the following pet-friendly airlines for allowing dogs in need to make their way to our rescue. CTARE is an unincorporated not for profit, foster home based, "no kill" rescue in Chilliwack BC for abandoned, abused, and otherwise homeless animals. | Help save a life - adopt or donate today!